The Mont Blanc range is the birthplace of mountaineering and rock climbing. Its impressive granite rock faces make it a favorite playground for climbers. The Saint-Gervais/Les Contamines Mountain Guide Company propose several options to discover the Les Contamines and the surrounding environment. Experienced professionals, they invite you to share original itineraries and unusual courses in a majestic setting. 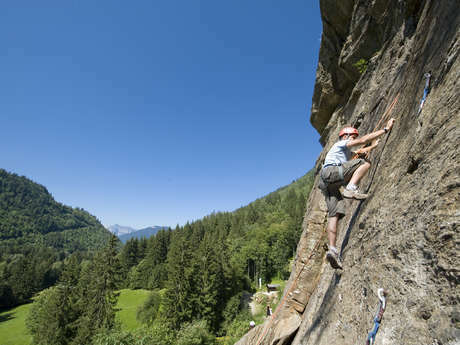 Discover one of the most beautiful rock faces in the Haute-Savoie region. La Duchère is the ideal spot to learn how to climb or to improve your technique.